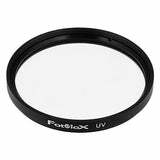 The Fotodiox ND4 Filter is a true neutral density filter designed to darken the image by 2-stops. 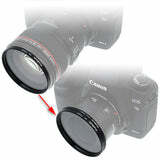 The filter is double threaded allows stack other filter on top of it. 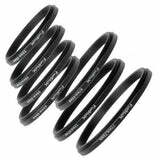 It features an even, neutral gray color for creative photography applications. 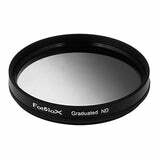 ND4 filter offers a 2-stop EV value which allows you to slow down the shutter speed or use a larger aperture in bright light conditions. 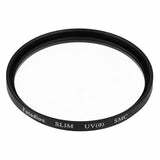 Neutral Density filters have their unique applications and offer the possibility of achieving otherwise impossible results. 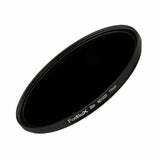 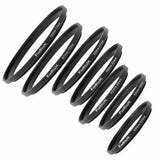 ND filters reduces the amount of light reaching the film/CCD. 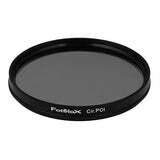 Fotodiox ND filters are a true neutral grey and do not color cast the images.